AEM Releases Honda/Acura Plug & Play Solutions for its New Infinity-6 and -8h ECUs! AEM has released several Honda/Acura Plug & Play solutions for its new Infinity-6 and 8h programmable ECUs, including manual transmission equipped 1992-95 B/D/H Series Honda racing engines (OBD1), 1999-01 B/D/H Series Honda racing engines (OBD2B), 2001-05 K Series Honda racing engines and 2000-05 2.0L F20 and 2.2L F22 Honda S2000 racing engines. 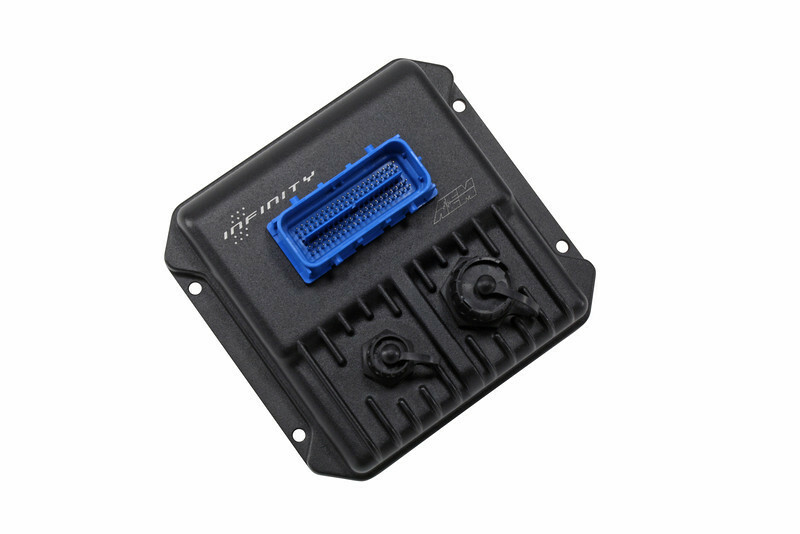 The Infinity ECU for these applications includes an engine-specific start-up calibration and connects via Plug & Play harnesses that are sold separately. Please visit www.aemelectronics.com for part numbers and pricing, which starts at approximately $1500 for some systems. 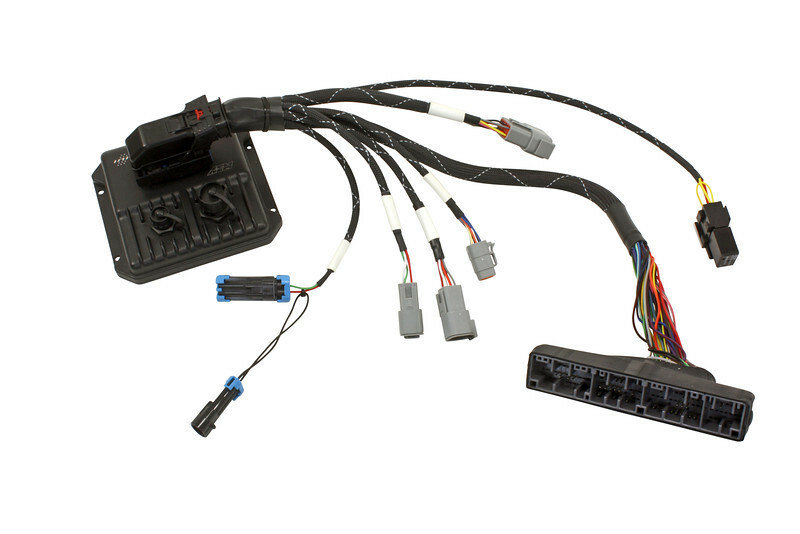 AEM’s Plug & Play harness (sold separately) includes a Wideband O2 connector, AEMnet connector for communication with other AEMnet enabled devices and an auxiliary connector with a Deutsch DTM 12P connector for adding common aftermarket sensors including fuel pressure, air inlet temperature, MAP, oil temperature and ethanol content sensor. The expansion port also includes a sensor ground, 5v reference, 12v power from relay and high side output for activating a relay or solenoid, a low side output for boost control and analog inputs for mode switch and no-lift shift. 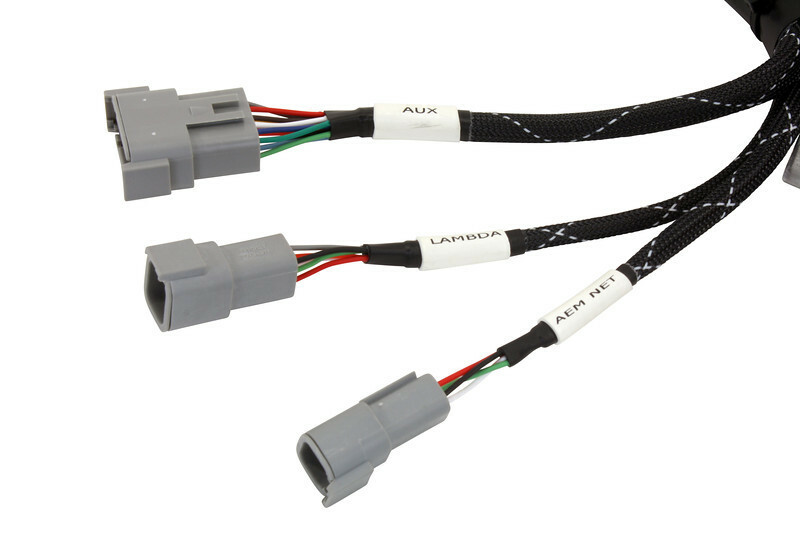 The ignition coil Deutsch connectors on the OBD1/OBD2 B/D/H adapter harnesses enables racers to easily convert their B/D/H series Honda race engine to coil-on-plug without having to modify the ECU’s connector or make any changes to the jumpers in the ECU. 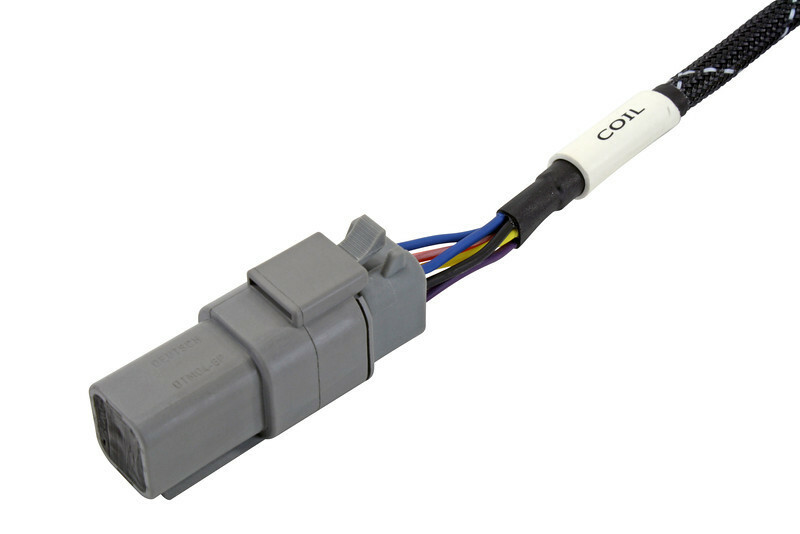 For racers who are still running a distributed ignition, an ignition coil adapter is available that plugs into the ignition coil Deutsch connector (PN 30-3501-00, sold separately). The Infinity EMS delivers high-end engine control for the racing masses at a fraction of the cost. The Infinity-6 and -8h is even more affordable than its larger -8 and -10 version because it is designed for smaller racing engines using low impedance injectors up to 6 cylinders (Infinity-6) and race engines driving up to 8 high impedance injectors(Infinity-8h). It features a smaller footprint than the Infinity-8/-10 (5.855” x 5.55” x 1.8”) and a single, weatherproof 80-pin connector. Built around a latest-generation 200MHz automotive processor, all Infinity systems are capable of processing 400 MIPS (millions of instructions per second). All Infinity systems currently come fully enabled without the need for feature add-on purchases. Combined with AEM’s industry leading after-purchase support system, including free technical support, the Infinity is the ultimate engine control solution for both professional race teams and weekend track cars. The Infinity’s airflow-based tuning models simplify start up and speed up the tuning process by eliminating many of the lookup and trim tables (Correction Tables) necessary in previous generation ECUs. Please visit www.aemelectronics.com for application information and to find or become a Factory Trained Infinity EMS Tuner, or call us at (310) 484-2322. THIS PRODUCT MAY BE USED SOLELY ON VEHICLES USED IN SANCTIONED COMPETITION WHICH MAY NEVER BE USED UPON A PUBLIC ROAD OR HIGHWAY, UNLESS PERMITTED BY SPECIFIC REGULATORY EXEMPTION. VISIT THE “EMISSIONS” PAGE AT WWW.SEMASAN.COM/EMISSIONS FOR STATE BY STATE DETAILS. INSTALLERS/USERS LOCATED OUTSIDE THE UNITED STATES SHOULD ACT IN ACCORDANCE WITH THEIR LOCAL LAWS AND REGULATIONS.